Hyenas are one of the most misunderstood animals in the wild, they’ve had a bad reputation ever since people started writing about them. From Ernest Hemingway, who wrote on “The Green Hills of Africa”; “Hermaphroditic, self-eating devourer of the dead, trailer of calving cows, ham-stringer, potential biter-off of your face at night while you slept, sad yowler, camp-follower, stinking, foul with jaws that crack the bones the lion leaves …”, to their role in “The Lion King” as vicious scavengers with a scary laughter. 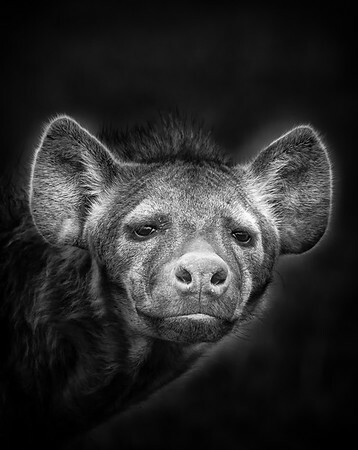 But the couldn’t be more wrong, hyenas are one of the most intelligent and complex animals in the wild. Contrary to popular believe, they hunt more than 75% of what they eat, and lions are more prone to scavenge a hyena’s prey than otherwise. Big cats might be more effective hunters when praying alone, but since hyenas mostly hunt in packs of up to 80 members, they’re effectiveness is much higher. Female hyenas have an elongated reproductive organ, misleading people to believe they where hermaphrodites, as Hemingway wrote in its famous book. Their matriarcal societies are one of the most complex ones, living in clans of up to 100 individuals. They form long lasting friendships or “cohesive clusters”, where they share and teach other members of the clan, independent of genetic inheritance. Females lead the pack with aggressive behavior as they have 3 times more testosterone as males, where even the lowest ranked females rule over males. 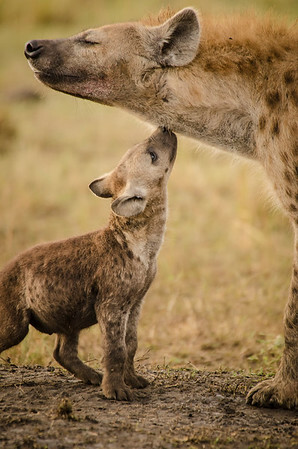 Hyenas have a frontal cortex on par with primates, making them very intelligent animals. Other than their complex social live, they have on of the most of the richest vocal repertories in the animal kingdom, from laughter, to high pitch tones, allowing them to communicate greatly with each other. Hyenas are more related to felines than canines, showing one of the most interesting aspects of evolutionary biology; “Convergent Evolution”, developing similar features as canine teeth in dogs, even though they where not present in their last common ancestor. Understanding that physical appearance and behavior in animals do not relate to “cruelty” or “ugliness” as we humans usually associate, is key to conservation. Complex ecosystems are sustained by all variations of life, and to extrapolate our conservation efforts to what we find “beautiful” or “cute” will only lead to unbalancing delicate ecosystems.